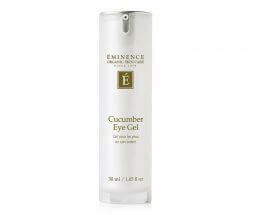 A clarifying cream-gel cleanser for oily and problem skin with cucumber and tea tree oil to cool and balance skin. Sweet almond milk and yogurt reduce the signs of acne and breakouts without stripping the skin of moisture. Mix (dilute) a small amount of the product (pea size) with water in hands,apply and massage into skin with fingertips in a circular motion covering the face and neck for 1–3 minutes. Completely remove with a damp cloth and then finish with an application of toner.Works great with Clear Skin Probiotic Masque and Clear Skin Probiotic Moisturizer . Lovely I'm 40 and still get regular breakouts and clogged pores. 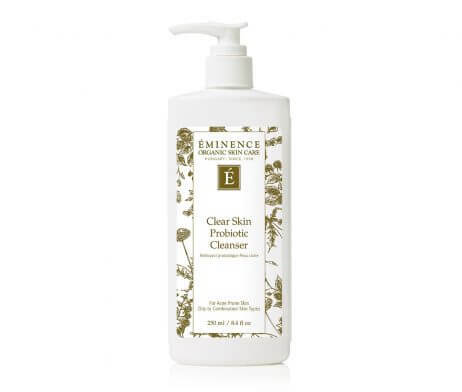 This cleanser (along with the Probiotic Moisturizer and Willow Bark Booster Serum) has helped clear my skin IMMENSELY. I only need to use a pea-sized amount, so the bottle is lasting forever! Highly recommended! Love this cleanser! Never having to deal with acne until my adulthood (I’m 36) it has been frustrating. I had a flare-up and this cleanser calmed my skin down. I already see a big difference in my skin in the week I’ve been using this. Feels good not to want to hide my face. This will always be a part of my skincare regimen now. Gentle Cleanser I’ve been using the cleanser for several weeks now and have really enjoyed using it. It’s light and gentle; it has a light clean smell. I have hormonal break outs and it didn’t break out my skin. I only gave four stars because it’s too early to say whether it is helping clear my hormonal acne but it has been a nice addition to my skin care so far. I really like the clear skin line, but I am not a big fan of the smell of the cleanser. But that really doesn't matter because the line as a whole is helping my trouble skin. Another great product. It clears my skin beautifully even though I don't have a problem skin I use it during summer months when I need a little extra help in due to hot weather, working out and similar. A little goes a long way. Size will last few months. Disappointed in this product, would rather the right skin cleanser. This product is really nice, leaves my skin feeling refreshed and clean without the feeling of overdrying or tightness. For those who like a foam wash, you won't like this, but if you can live without the foam, this is a great product! I've been using various eminence products for years and I love them all, but this is one I'll use consistently going forward. I bought the product in hopes it would improve my recent acne problem. It is too early to say at this point if it is helping as I have been only using it for a few weeks. This is the first time I've used this product and I love it. It works great! I feel my skin I Fresh and clean! I love this line of products and the way my skin feels now! Love this cleanser. Very gentle and effective! I really like this cleanser. It leaves my skin clear and very clean feeling. I use this product myself so I bought it for my daughter. I love the skin cleanser. It has really helped to clear up my skin! LOVE this product! It feels so great on my face!! I actually really like this product! It keeps my acne under control and helps with the redness. My skin is really sensitive and this face wash doesn't dry out my skin it leaves my face feeling soft and clean after using it! As usual I love the products! The acne on my face has diminshed a lot! LOVE!!! My forever staple!! Especially good for summer skin! 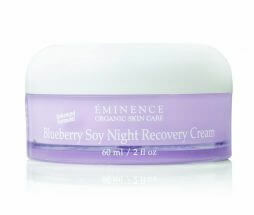 I received a facial at a spa which used only Eminence products and I have never gone back. This cleanser is so gentle and smells incredible. It clears up my face along with the lime toner and the booster serum! I am 20 and HIGHLY RECOMMEND- its worth the price. best cleanser ever!!! will be a customer for life! nothing has ever cleared up my skin so well! I love this facewash! Feels great & smells lovely. As I continue to struggle with hormonal acne, this definitely helps prevent and keep me from having such harsh breakouts during that time of the month. Will continue to use! Product is great as usual. One of the bottles of face wash has a pump that's broken. Other than that everything was great! 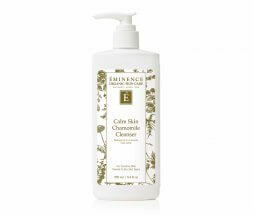 Love this cleanser leaves my face clean without any residue. Only need a tiny bit and removes all makeup. 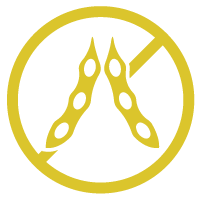 Only cleanser will use plus prevents breakouts. I have a friend that uses the Probiotic stuff and told me it was good. Man she wasn't lying. I love the way the cleanser smells and makes my face so soft. I am so glad I got this and it will be in my rotation of products I use from ya'll! Difficult when you're 58, and battling acne and wrinkles. Helps with the acne and not terribly drying. I love this face wash ! Products are great! Just what my skin needs, highly recommend them. I've been using this product for just over a week now. It has definitely helped to maintain/control my acne prone skin. Does not dry out or cause excess oil! Great product!! I love this cleanser. I have battled acne most of my adult life and I rarely have any break out now. It also doesn't irritate or dry my skin. Great product. This cleanser helps to keep my cystic acne under control. My skin is less oily. This is my second time purchasing this product. I love the way my skin looks after using it and how clean and soft it feels. Definitely a favorite of mine. I love this product! I have only been using it for a week and my skin already looks and feels better! I love how all of the Eminence products are organic. I will definitely be replenishing this product and purchasing more products in the future. I love this cleanser, I have suffered with adult acne for 9 years, spending hundreds of dollars on medical grade products and procedures. Nothing worked until I tried this cleanser its like heaven in a jar. I hope you guys never go out of business because I would not know what to do. Organic is definetly what my skin likes and deserves, thanks for making these products they've changed my life. I've had trouble with my skin for the last four years. Out of the blue, I developed acne on on my chin that would not go away. Every time one side of my face would clear up, the other side would immediately break out and they would play "tag" like that for years. Finally, over the last few months my skin has cleared up. I am now working on the dark spots that are left, but this cleanser has been awesome. I have extremely sensitive skin and this product works great for me! I like the smell. I use the probiotic cleanser with the strawberry rhubarb dermafoliant every day (twice a day is ideal). I also use my clarisonic cleanser with this combo every week. 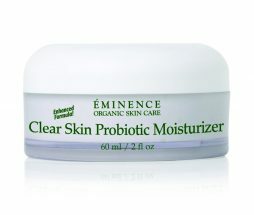 I follow it up with the probiotic moisturizer. The only powder I use on my face is the Eminence mineral makeup and I top everything off with the Eminence SPF finishing powder. I can't say what will work for everyone, but this has certainly worked for me. At the VERY least, it has not hindered any of my skin's progress. LOVE IT! Unfortunaltely this cleanser is not for me. The smell is overwhelmingly strong (in a bad way). It almost smells like ammonia. My skin felt dry and scaley after using this prodcut for a few days. I gave this 3 stars because a lot of people lov and I know not every product is for everyone. I really wanted to like this. I've always been a huge Eminence fan. The products work and I always look forward to using them. 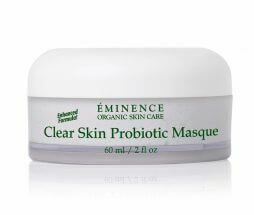 I recently purchased the clear skin probiotic cleanser and it feels great on my skin. I enjoy receiving packages from Eminence because they always write a small personal thank you note. Great company! The Clear Skin Probiotic Cleanser makes my skin feel super soft and clean. My acne is minimal now!